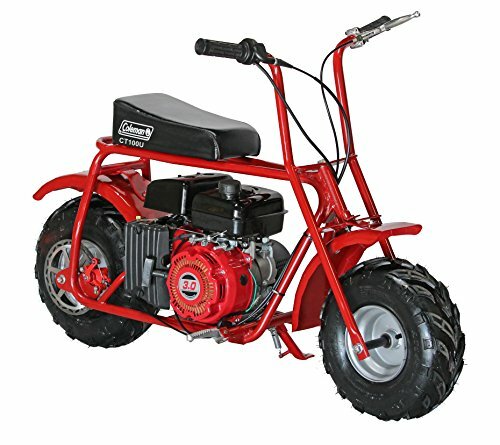 The Coleman trail100u (Ct100) reinvents the classic mini bike design with modern materials and craftsmanship. The reliable 3Hp OHV engine will power you through the trails All day with plenty of Muscle while being gas efficient. The robust steel frame will withstand years of use and the rear disc brake allows for reliable stopping.